Posted on September 4, 2018 by wp-admin Posted in MB Star	. All of these functioning Autonumen.com express a fabulous current system offered. generally known as MB SD Join Compressed have a look at MB Star C4 Acte method. Mb Star Compact C4 is the professional diagnostic equipment for Mer-Bz cars manufactured, it is the replacement of HHT. IBM Compact 4 operates based on the Windows XP system. Posted on August 28, 2018 by wp-admin Posted in MB Star	. Q:Hello,marshall,can you send me some picture about mb sd c4?i need to check,better with some detail,thanks! 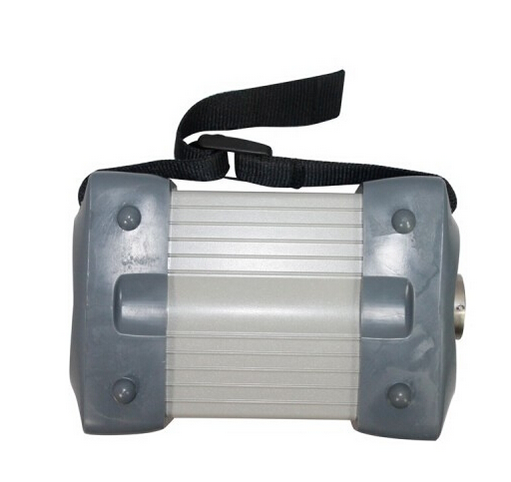 This tool you can choose connect with internet by LAN cable or WIFI,when it connect with car,you will see:usually after activate,it will be no problem at all,this item is very stable. Q:Hello,marshall~I want to have dell 630 format sd c4,does any request on my computer? A:If you buy the fit all HDD,then you have to use on XP sysytem,if you choose Dell 630,then no request on computer system. Q:I will be using this to activate cruise control installs on 2012 MB B and C class cars. A:our engineer say it can do . 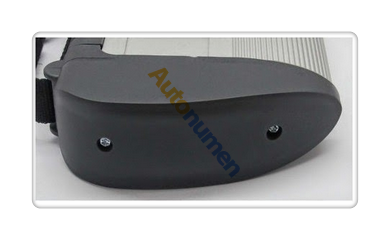 BUT it depend on car,some car don;t have Cruise control function,then cannot do,and it need you know how to activate it. A: It is not stable on WIN7,suggest you not use WIN7, 90% sdc4 software get broken because of the usage of WIN7. Q: When I click “Diagnostic” to find “Fingerprint ID” of mb sd c4 2013.5 (Item No. SP100-D), I got an error” Internal error (3.17)- 3.89 You must contact the user help Desk “. A: Check whether your computer is compatible with sd c4 2013.05 software. 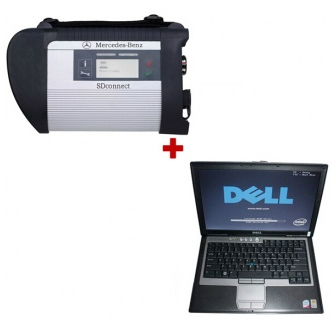 If you choose d630 hard disk, it needs to work with Dell D630 computer with integrated video card and 1GB memory; if you choose movable hard disk, it’s requirement to the computer is: CPU 2.0GHZ or above, 2GB memory or more, Windows XP professional. A: It needs activation, please send us Hardware fingerprint, LAN-ID and HW-ID, then we will help you active. 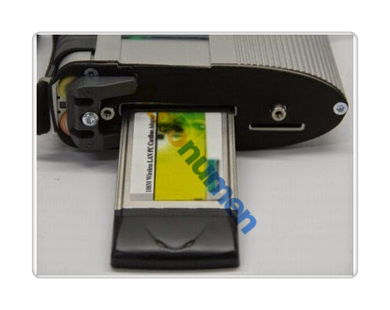 As for how to get Hardware fingerprint, LAN-ID and HW-ID. Q: When I open EPC of MB SD C4 2012.11 (SP100), I got error message “unable to start application program”, what’s the reason? A: Firstly, make sure EPC is activated. Secondly, make sure enter EPC from “EPC NET EXPLORER ” and find out LAN ID, finally active it (A part of users tend to directly start EPC from Xentrty, this is not correct.) Still have got the same error? Please contact us for remote assistance. A: We have video tutorial, please click column “Video” to watch. Important note: make sure enter EPC from “EPC NET EXPLORER ” and find out LAN ID, finally active it. A: Please connect to “Local area connection”, and set IP address: 172.29.127.114, Subnet mask: 255.255.0.0. for the details, please watch the video tutorial by clicking column “Video”. A: Don’t set the file “lic-key-2” as “read only. A: Firstly, disconnect the local areal connection, then connect the sdconnect 4 with the car and start the car, finally connect to the wireless connections, please follow the next instructions to set: click Configuration-MUX-Register/configure, under the “General information”, select name “04” and then tick off “Wlan parameters, road”, then set the following parameters: IP address: 192.168.2.200, Network screen: 255.255.255.0, Encryption: WEP/Hex, Key: aaaaaaaaaaaaaaaaaaaaaaaaaa (26 a in total), we have video tutorial, please click column “Video” to watch or contact our customer service to send you. Start-Connect to all connections-Local Area Connection-right click “Properties”-Internet Protocol-Use the following IP address, IP address: 172.29.127.114, Subnet mask: 255.255.0.0, finally click “Ok”, we have video tutorial, please click column “Video” to watch or contact our customer service to send you. Q: When I start DAS, it says that, I am using the developer version. In some menus however the software does not seem to be a developer version.Is it or is it not a developer version? am NOT connected to the internet when diagnosing a car. Only the SD-Box is connected to the notebook via WLAN. Could that be the problem? A: Have you set the “sdc4″ well? Could you please do a self-checking for your device? Then show me the result of the self-checking. Please refer to the following steps of self-checking. A: check whether the COM PORT is COM2, if it is, there are four possible reasons: 1) the COM PORT has problem; 2) MB SD C4 and the computer has a poor connection. 3) The cable or SDC4 doesn’t work; 4) SD C4 disconnect with the car. A: Self-diagnostic has error not suggest MB SD C4 has problem. 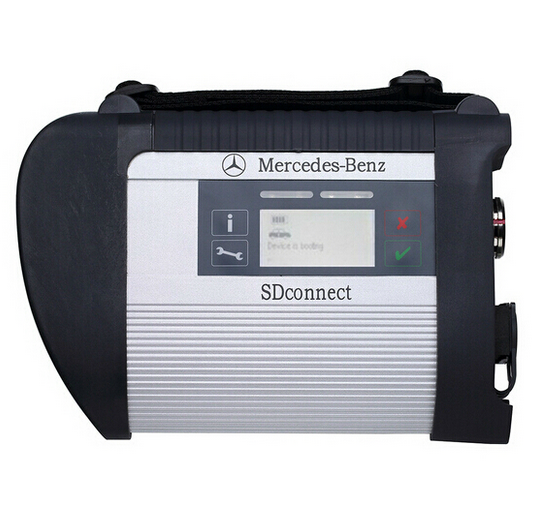 The aim of self-diagnosis is to check whether SD C4 connect well with the computer and the car, whether the IP address and parameter is set correctly, whether the SD connect c4 and the driver has successful communication. We have video tutorial on how to do self diagnosis for SD C4, please follow it to operate, if you are able to self-diagnostic, it suggests MB SD C4 settings is OK, the connections is OK and it has communication between MB SD c4 and the software. Just go to test the car, if you got any errors, screenshot them and send us to judge where the problem is. Q: Where to find Smart TAN CODE in the software of MB Star C4 (SP100-D)? I have used this setup for many years for control module programming and SCN coding with no issues from AUTONUMEN.